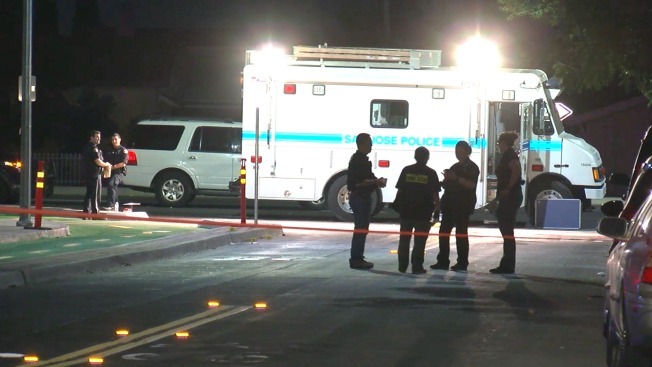 A man was killed Tuesday night after being shot in East San Jose, police said, and the suspect fled the scene. Kris Sanchez reports. A man was killed Tuesday night after being shot in East San Jose, police said, and the suspect fled the scene. The shooting happened around 9 p.m. along the 1900 block of Story Road, according to police. A source told NBC Bay Area that the shooting was a drive-by and is considered gang related. The victim was taken to a hospital, but he was later pronounced dead, police said. An unknown suspect fled the area, according to police.